Ask an Astrophysicist #2 - http://www.reddit.co...starcitizen/c.. It's finally heeeeere! It only took FOREVER! So what do you guys think about the Mercenary Gunship's proposed stats? It sounds like a pretty deadly little ship to me. Hope team Shimapan wins! 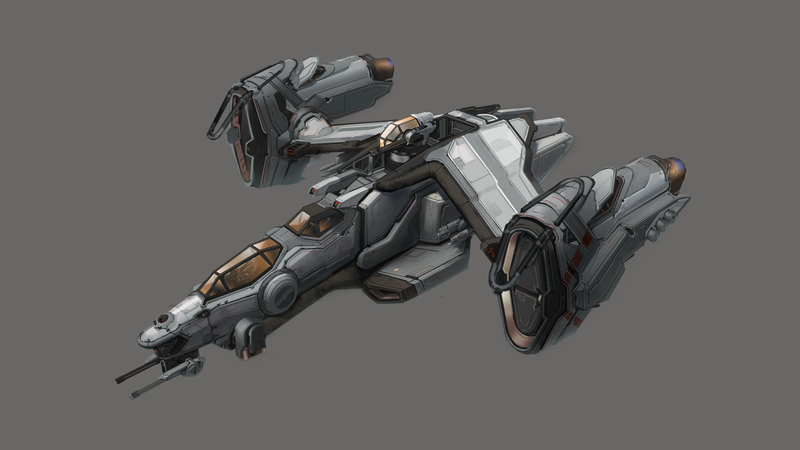 This is what comes to mind when I think of a gunship, it is like a Hind in space. Keep on keepin on Wes. Hopefully you'll be able to find the subscribers you need. The gunship seems a bit too strong actually. I don't quite understand the need to carry troops on it though, is it the lawful-good cutlass? Great job on the video, thanks for doing it! and thanks to anyone helping you.